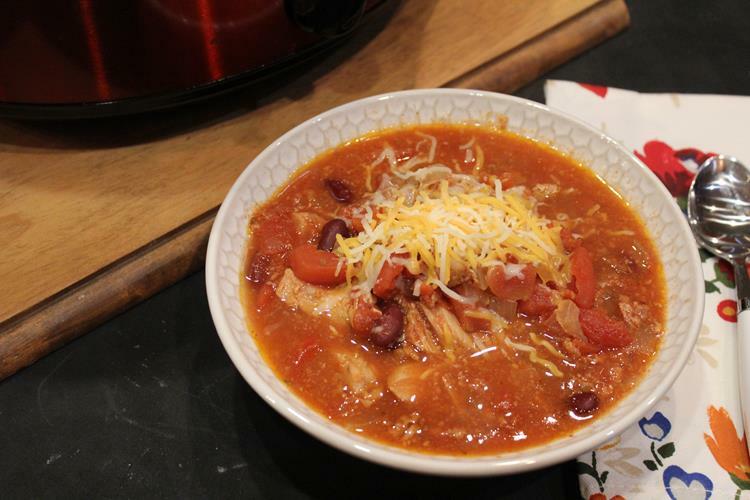 This easy crock pot pork chili goes together in no time. Make it in the morning and dinner will be waiting for you at the end of a busy day! This picture has been in my to post folder for awhile, but I have not gotten it done. Today I decided that I needed to change that because it is the time of year that we all need recipes that are easy to make, family friendly, and work for busy days. 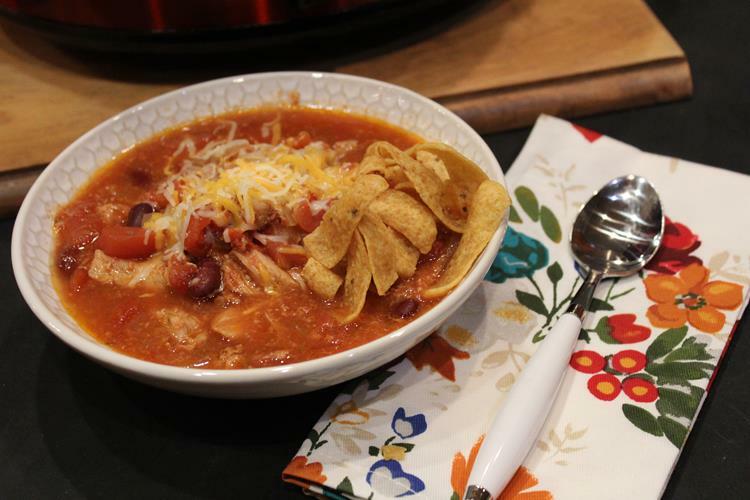 This crock pot pork chili is all those things! My family loves chili. This is the time of year we eat it often, so I like to change it up. 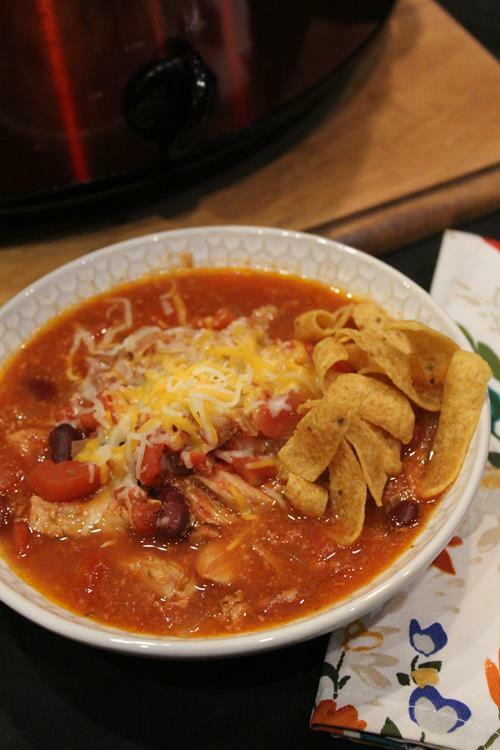 I have an oven pork chili recipe that I have made for years. I adapted it for the crock pot and we love it better than the oven version. It is a nice change from our regular ground beef chili and it is so easy to make. I put it in the crock pot in the morning and dinner is ready at the end of the day. Place all ingredients into a 6 qt crock pot. Stir to combine ingredients well. Shred meat with two forks if needed. Serve with shredded cheese, cornbread, or fritos, and enjoy! The leftovers, if you have any, freeze well.